Thanks for looking into Camp Nabby! Whether you’re a new family in search of information or a returning family looking to sign up, we encourage you to fill out an online profile. From there, we can follow up with additional information and schedule a personal tour of our wonderful facilities. For specific questions or concerns, please feel free to contact us directly. Still not sure? Get in touch! 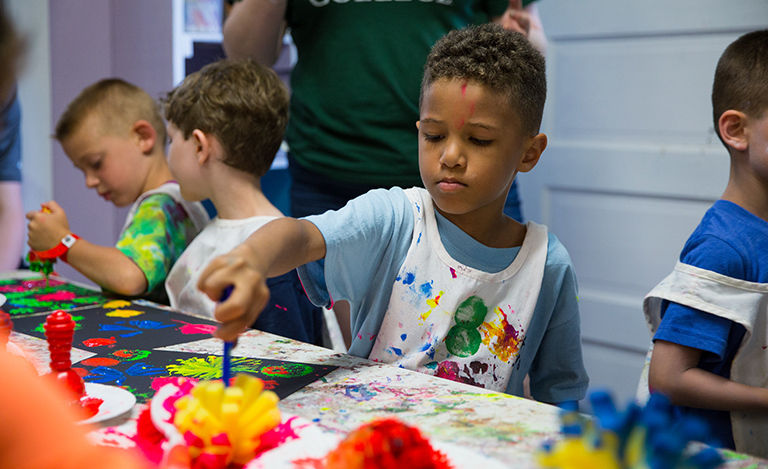 Our full, 8-week summer session for 2019 runs from June 27th – August 22nd. We require a 2-week minimum for enrollment, but those weeks can be arranged to reflect family needs, vacation time and other extenuating circumstances. You are always welcome to add more weeks for your camper. Each camper receives one t-shirt, one backpack and one towel. Photo packages include one individual photo and one group photo. Busing is available for an additional fee from select towns in Northern Westchester county. Cookouts are available for lunch once a week, where we serve Hemlock Hill Farm hamburgers, veggie burgers and Hebrew National all-beef kosher hot dogs. One healthy snack is provided daily, along with water and some much needed down time. All groups will be provided a pizza lunch every Friday. Yay! 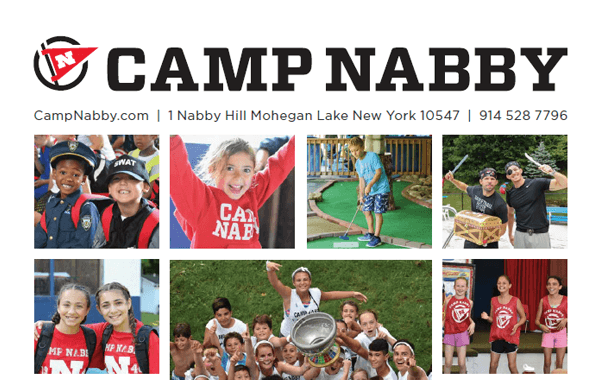 This will be the third year my granddaughter attends Camp Nabby. I am so grateful to have found a place that she absolutely loves! She has become more confident, expressive, social and is experiencing wonderful friendships. 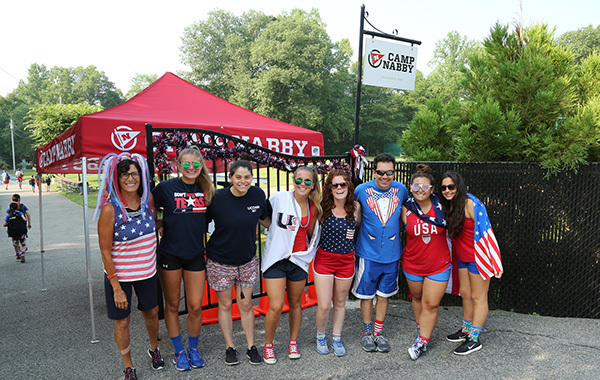 Thank you Camp Nabby for making such meaningful memories for her. 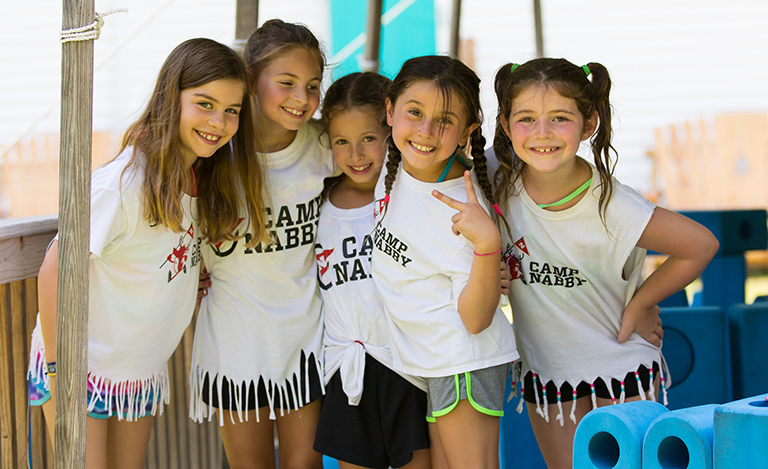 "The kids are LOVING camp! This is the first summer they come home happy! Thanks! (new nabby campers)." Click here to view a copy of our 2019 brochure! Fees good through Nov.1st. We provide personal tours on weekends between 10AM – 2PM. Please contact us directly at [email protected] to schedule a day and time.